The issue of Schedules of Dilapidation and a Schedule of Condition can be a complicated one and surveyors can be used to support either the tenant, or the landlord, in varying instances. A dilapidations schedule can be prepared during the tenancy, particularly if the present tenant is seeking the landlord’s consent to assign the lease, but it is more commonly prepared at the end of the lease to establish the condition of the building and the work needed to be done by the tenant to meet their requirements under the lease. 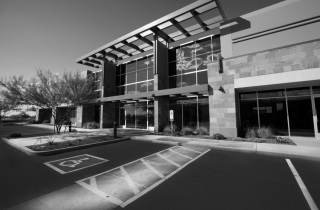 A schedule of condition may be prepared to record the condition of a commercial property at the beginning of a tenancy and to limit the tenant’s repairing liability. This can help avpid any disputes at the expiry of the lease and can save tenants expensive repairs not caused by them. At Quintons we can act for either a landlord or a tenant in these specialist areas. Contact Shane Prater to discuss your needs.